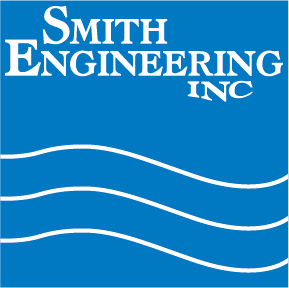 Smith Engineering is pleased to announce the addition of a new vendor partner, Grundfos. Since its founding in 1945, Grundfos has flourished from one small factory in Bjerringbro, Denmark, to a global corporation with more than 16,000 people in more than 80 companies worldwide. To complement its global presence, Grundfos is committed to the North American market and is continually expanding its regional expertise. Headquartered in Downers Grove, Illinois, Grundfos USA also has operations, sales and service facilities in Olathe, Kansas; Allentown, Pennsylvania; Fresno, California; Brookshire, Texas; Indianapolis, Indiana; Selma, Alabama; and Aurora, Illinois. Today Grundfos provides comprehensive market coverage in North America through a number of marquee product brands. Together, Grundfos, Peerless Pump, PACO, Yeomans, Chicago, Sewer Chewer, Morris Pump and LaBour Taber offer a complete portfolio of products and solutions. With an annual production of more than 16 million pumps, Grundfos is a global leader in advanced pump solutions and a trendsetter in water technology, specializing in circulator pumps for heating and air conditioning as well as other centrifugal pumps for industrial applications, water supply, sewage, dosing and fire protection. In addition to pumps, Grundfos produces standard and submersible motors as well as state-of-the-art electronics for monitoring and controlling pumps. The addition of Grundfos as our partner allows us to provide the right pump for the right price. Check out the Grundfos website.